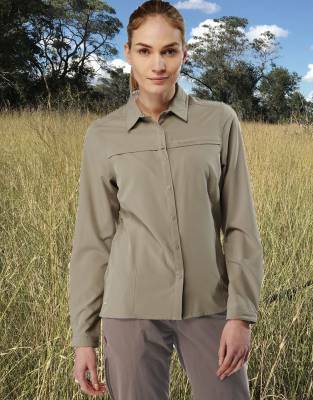 In a comfortable stretch fabric with moisture wicking, built-in sun protection, and insect repellent, this adventure shirt keeps you looking and feeling great on safari and for all outdoor experiences. 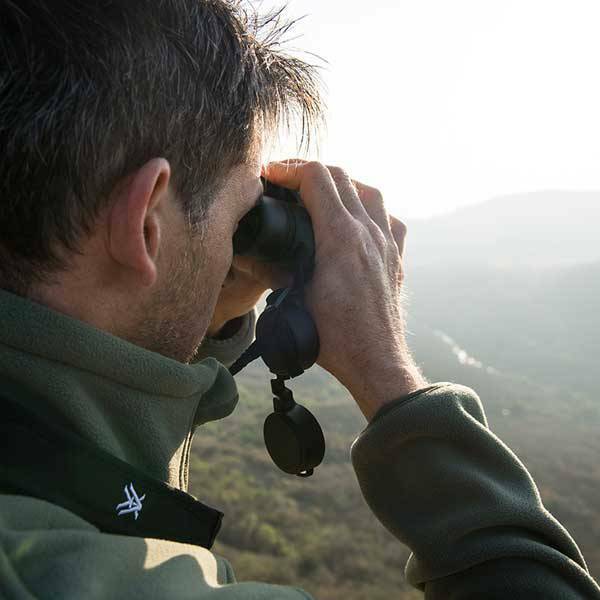 We recommend wearing a long-sleeved shirt on safari. With buttoned roll-up sleeve tabs, enjoy the protection of long-sleeves, as well as the flexibility of rolling up and securing your sleeves as the day heats up. 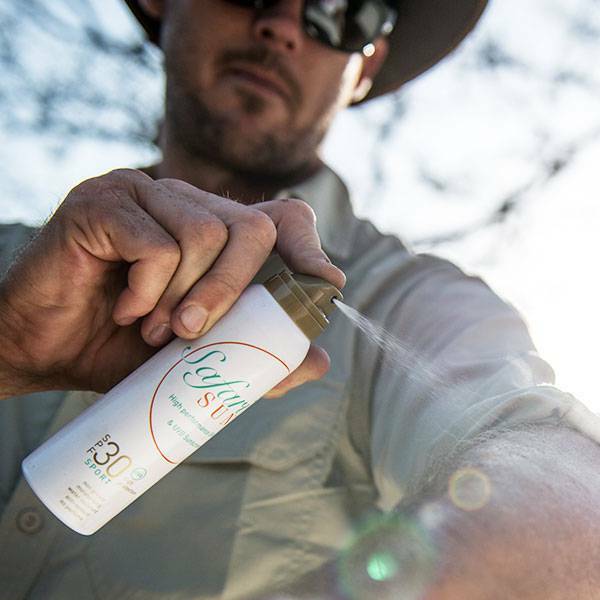 In NosiLife fabric with built-in insect repellent and SolarShield SPF50+, enjoy comprehensive protection for safari, adventure travels, and outdoor hobbies. 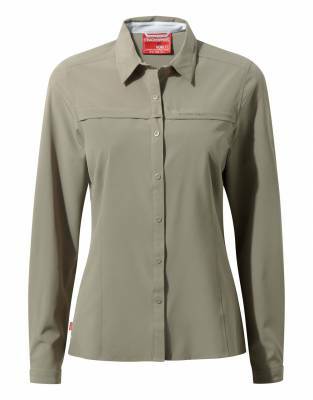 In a clean design with no chest pockets and in stretch fabric, this simple, stylish shirt looks great and is always comfortable - offering moisture control properties for warm-weather travels. 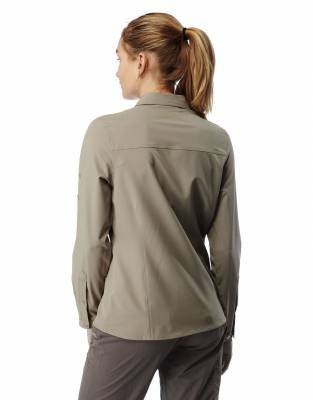 Its discreet zipped security pocket is a convenient addition for practicality and has low impact on the overall styling of the shirt. Its quick-drying material makes it a travel-friendly option, providing Wash & Wear convenience for daily wear. ⊙ MATERIAL: Made from 86% polyester, 14% elastane NosiLife fabric with built-in insect repellent and UPF50+ and 100% polyester trim.